Yesterday, the House Committee on Appropriations convened to markup the FY2019 funding bill for Labor, Health and Human Services, Education and Related Agencies (L-HHS). After considering upwards of 50 amendments, the full committee approved the bill by a vote of 30 – 22 along party lines. The L-HHS Subcommittee oversees funding for the core early childhood education (ECE) programs. 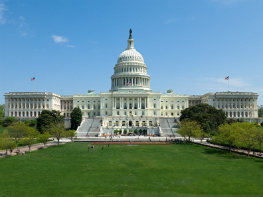 In a year with tight caps on the 302(b) allocation, vital ECE investments have been allocated sustained or increased levels in the FY2019 House bill. Both Full Committee Ranking Member Lowey (D-NY) and Subcommittee Ranking Member DeLauro (D-CT) called back to their support of the bipartisan FY2018 spending bill, asserting their opposition to the FY2019 House bill due to insufficient funding increases for L-HHS programs and the family separations taking place at the U.S.-Mexico border. The committee approved eighteen amendments, several of which passed with bipartisan support. Through subsidies to states, CCDBG serves 1.4 million children annually, and allows parents to work while their children attend child care that promotes learning and healthy development. The increase in spending for CCDBG will equip states to implement the new regulations and help to ensure children benefit from high-quality early learning and care. As a result of the two-year budget deal that included an unprecedented increase in base funding for CCDBG, the House FY2019 allocation for CCDBG is level with FY2018 which amounts to an increase of nearly $5.9 billion over the 2 fiscal years. Head Start serves over a million low-income children and families in communities across the country every year. Head Start, for 3- and 4-year-old preschoolers, and Early Head Start, for infants and toddlers, deliver comprehensive early learning, health, nutrition and family support services to low-income children and their families. The Committee recommends a $50 million overall increase above FY2018 for Head Start. Within that Head Start allocation, the House further specifies that $25 million above FY2018 spending be allocated to the Early Head Start-Child Care Partnership grants and to the conversation of Head Start slots into Early Head Start slots, both of which serve the infant and toddler population. The new Preschool Development Grants program provides competitive grants, administered by HHS in coordination with ED, for states to improve coordination, quality, and access for early childhood education for low- and moderate-income children from birth to kindergarten entry. Funding for the new Preschool Development Grants is level with FY2018 in the House bill. Following yesterday’s vote, the bill now moves to the House floor, where it will be considered by the full House of Representatives. The Senate L-HHS FY2019 bill, which overall would spend $2.2 billion above FY2018 enacted levels, will soon be considered by the full Senate.